Fearful of the shortages that could lie just around the corner, both warehouses and UK citizens have begun hoarding food, medicine and other supplies. Perhaps realizing that they have pushed the country to the brink of hysteria, PM May’s government on Monday tried to walk back some of the more outrageous claims, assuring citizens that there will be enough to eat in the event of a hard Brexit, though prices on fresh foods could see a temporary spike. The walk back followed another warning from supermarket chains about possible supply shortages if ‘no deal’ goes through. Alex Jones breaks down how devices with artificial intelligence embedded in the applications, aka ‘smart’, are being used for surveillance as well as electromagnetic stimuli to control peoples’ thoughts, feelings, and actions for an ultimate act of mass suggestion that will collapse society. On the face of it, the statement – in response to a warning from food retailers – is uncontroversial. But the government of the world’s fifth-largest economy having to reassure its citizens they’ll have food is a mark of the atmosphere pervading the nation. Alas, this wasn’t the only example of fearmongering to circulate in the press so far this week. A study by several UK universities concluded that a ‘no-deal’ Brexit could lead to “thousands more deaths” by 2030, according to Bloomberg. The reason? Get this – rising fruit and vegetable prices, which could lead to a spike in unhealthy eating. 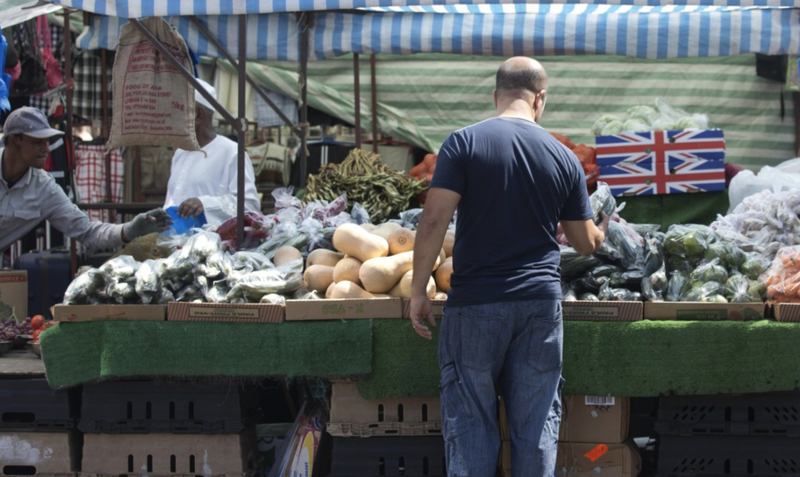 Any deal under which the UK exits the EU will push up prices, cutting the amount of fresh produce people buy, it said. A no-deal Brexit would have the worst impact, leading to more than 12,000 extra deaths between 2021 and 2030. The new study, from Imperial College London and the University of Liverpool, used data from the World Health Organization and HM Revenue and Customs to model the impact of Brexit on health. The models included a free-trading agreement with the EU and third-party countries; a free-trading agreement with the EU; and a no-deal Brexit without a new trade agreement. All scenarios assumed an increase in trade tariffs and transaction costs – extra costs that the UK will be required to pay on imported goods. And as if the level of hysteria wasn’t already at a fever pitch, the Associated Press reported that Jews living in the UK are so concerned about Brexit that they’re literally applying for German citizenship, waging that a return to the land where their ancestors were slaughtered would be a solid contingency plan in the event of ‘no deal’. Through it all, May remains stuck between a rock and a hard place. MPs can’t agree on an alternative to her deal, making it impossible for her to try and sell an ‘alternative arrangement’ to the EU, while the EU remains publicly opposed to reopening the Withdrawal Agreement. That should set everybody’s mind at ease.